With every new major update for Apple’s operating system for the Mac comes the mandatory review. 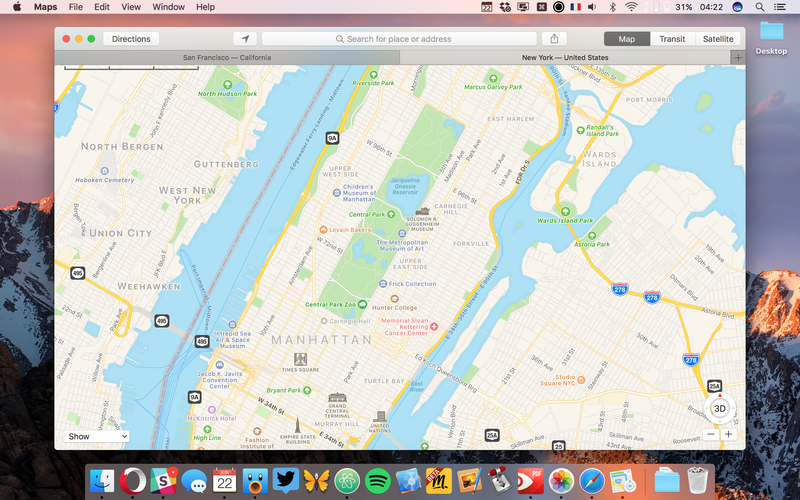 This year, OS X is now called macOS — while this is a small cosmetic change, it’s also a good opportunity to take a step back and look at the current state of macOS. After more than 15 years and 13 major updates, the Mac is now a mature platform — and it’s a good thing. A new update means that many smart writers are publishing reviews showing the many new features of macOS Sierra. I’ll leave the hyper technical reviews to them. Based on three months of testing, there’s not much to say about macOS Sierra and this article could end up being the shortest macOS review ever published on this site. iOS 10 was a huge update. 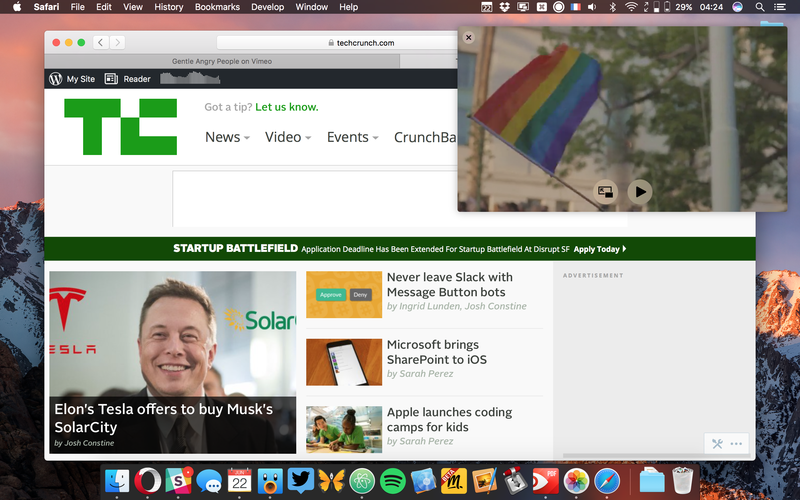 macOS Sierra doesn’t feel like a major change if you were already using OS X El Capitan. Let’s get the main new features out of the way. 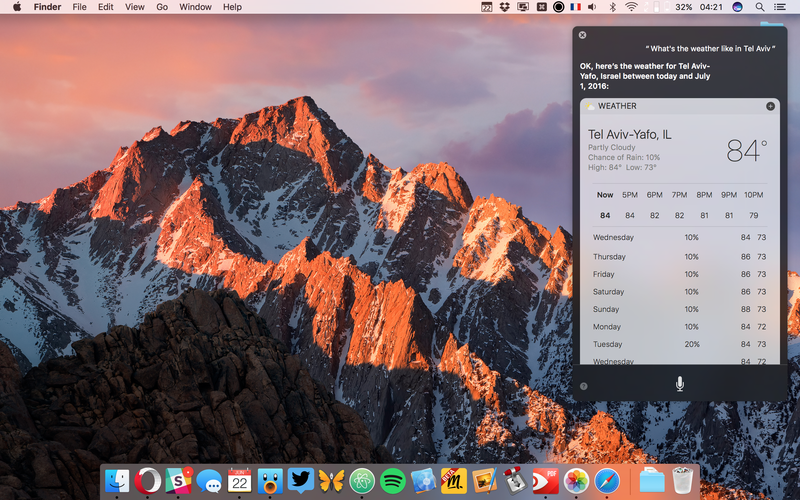 For the first time, Siri is making its way to the Mac. It’s long overdue, and it has a few tricks. You can ask for the weather, NBA scores, a word translation or sending a text. But you can also turn off the Wi-Fi or look up a file on your hard drive. Third-party apps can’t take advantage of Siri on the Mac — that feature is limited to iOS 10. While I use Siri quite a lot on my iPhone, I don’t see myself using Siri on the Mac that often. Maybe I haven’t gotten used to it yet, maybe it isn’t as useful on a big screen. The Photos app is getting all the new iOS 10 features, such as automatic albums based on locations and dates, and a much more powerful search feature. Browsing photos on my Mac have become a great experience. In Messages, you can preview links, send tapbacks and view stickers. Unfortunately, many of the new iOS 10 features for Messages didn’t make their way to the Mac. You won’t be able to send stickers or install apps. Other features include the ability to sync your Desktop and Documents folders with iCloud, storage optimization powered by iCloud, Apple Pay on the web, tabs in more apps, picture-in-picture in Safari, real-time collaboration in iWork apps and more. And if you have an Apple Watch, you can set up two factor authentication with your Apple ID, you can unlock your Mac automatically if you’re wearing your Apple Watch. In my testing, it’s quite a magical experience after all those years of typing my password. Don’t get me wrong, macOS Sierra is adding many nice features to your existing Mac. But it won’t change the way you use your Mac. Apple isn’t saying that you’re going to get “200 new features.” These days are over. You could say that Apple is spread too thin, and that the company doesn’t have enough developers to release major versions of macOS, iOS, tvOS and watchOS at the same time. But Apple has grown quite a lot. There are more employees than ever working for Apple, so it’s not a matter of priority. The Mac has become a boring platform, and it’s not a bad thing. Apple is still experimenting quite a lot with iOS. With the iPad, the company wants to find the next computing device that could replace your laptop. And yet, it’s not there yet — or at least not for everyone. In the meantime, Mac users want the most robust platform they can get. I’ve been using Sierra all summer long. In my testing, it’s a solid update. There aren’t many new bells and whistles. Sierra lets you work more efficiently than ever. And that’s all I wanted.